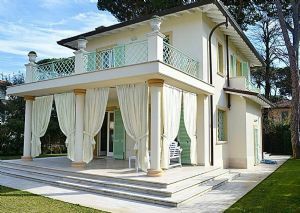 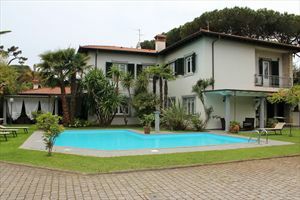 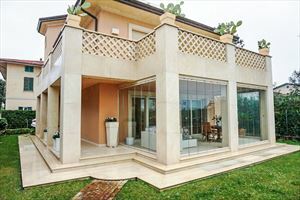 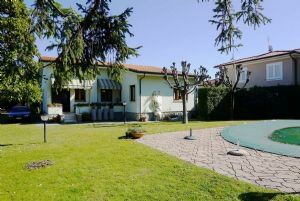 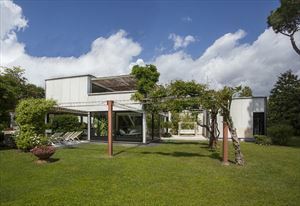 Detached Villa located a few steps from the sea and the center, in a quiet area in Forte dei Marmi. 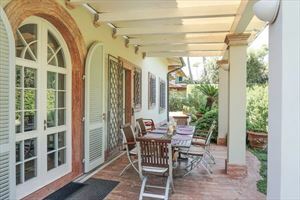 At the entrance we find a dining room with lounge, kitchen, two bathrooms, one with a bath and the other with a shower, two double bedrooms and one single. 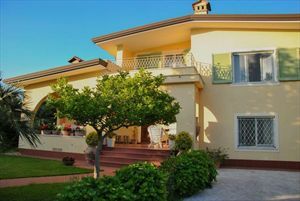 The property is also equipped with an alarm system, automatic gate, air conditioning in one room, parking, Wi-Fi and automatic irrigation.